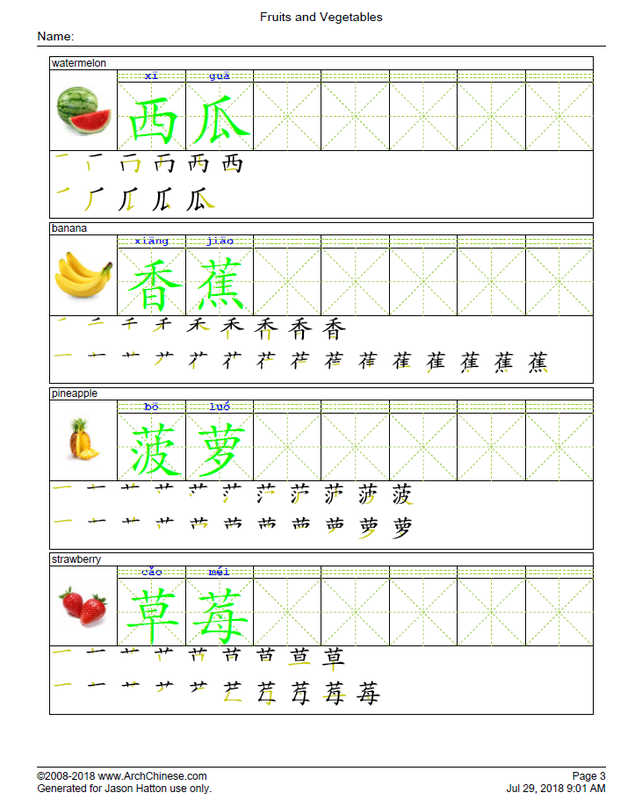 This powerful tool is designed for the Chinese teachers and parents who want to generate Chinese word or phrase worksheets with character stroke sequences. It is a combination of the Chinese Character Worksheet Maker and the classical Chinese Word Worksheet Maker. Note that you can use images on the worksheets. You can click the image icon to upload or look up an image for each word entry. Click the Save button to save the list after you add the images. Generating this type of worksheets is resource intensive and slightly slower than the classical Chinese Word Worksheet Maker. 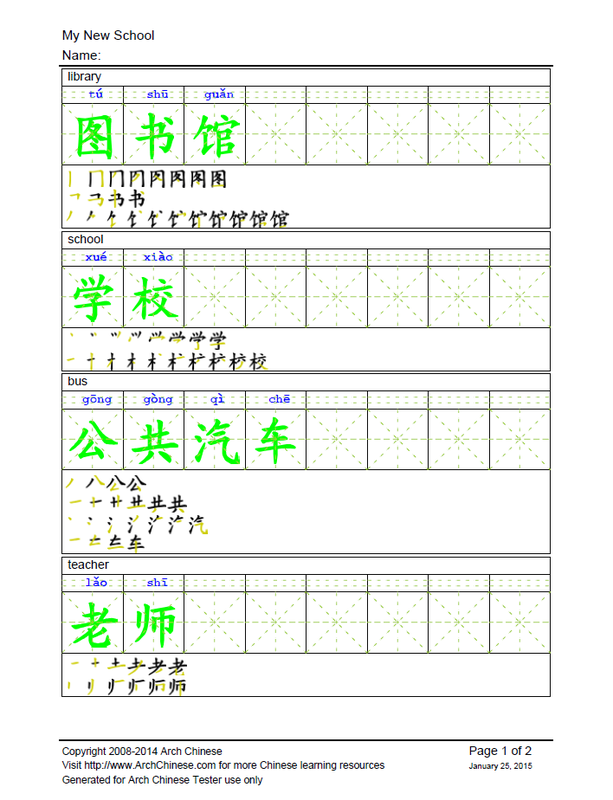 If you do not need the stroke sequences, it is recommended to use the classical Chinese Word Worksheet Maker. Both simplified and traditional Chinese characters are supported. The P button can be used to populate Pinyin for the Chinese characters (including the traditional ones). If you want to print Bopomofo (Zhuyin) on the worksheets, change the phonetic notation in the Worksheet Settings section from Pinyin to Bopomofo. The system will automatically convert the Pinyin to Bopomofo. Enter the title of the new worksheet, such as Chinese Writing Homework #1. The title will be shown at the top of the generated worksheets. The title is required when you save the list to the server for future use. Enter the definition of the Chinese word in English (or your native language). You can click the E button to let the system fill in the definition for you if the Chinese is a single character or a commonly-used word. The Chinese word should not be more than 4 characters long. Click the Pinyin button to add Pinyin automatically. In the case that there are multiple pronunciations for a particular character, the system will attempt to use the right one based on its context. In some cases, the user has to edit it. Do not use punctuation marks in the Pinyin input box. Note that Pinyin must be entered with tone numbers. The system will convert them to tone marks or Bopomofo (Zhuyin) when the worksheet PDF is generated. In addition, the Pinyin syllables must be separated by a blank space. As an example, for Chinese phrase 你去哪儿？, the Pinyin must be entered as ni3 qu4 na3 er2. Use v for ü, for example lv3 for lǚ, and number 5 for the neutral tone, e.g. ma5 (吗). Click Print button to generate the worksheets. Optionally, click the Save to Server to save the word list to the server for future use or use it in a different tool, such as Bingo Card Maker, Quiz Maker ,Chinese Word FlashCard Maker, Chinese Puzzle Maker,etc.